Essential guidance for those trying to navigate the POPI act. This comprehensive handbook explains the impact of the Act on all key business areas, the duties and responsibilities of companies, and the changes needed to ensure compliance. Any organisation that stores as little as an email address or a phone number will need to respond to POPI. 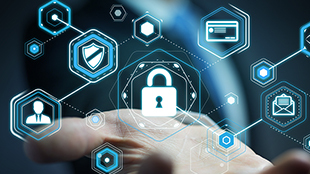 A Commentary on Protection of Personal Information is an easy-to-use guide that clarifies the duties and responsibilities of companies, and highlights the changes needed to ensure the businesses are protected from penalties. POPI is structurally complicated and applies to diverse areas of law. This handbook provides clarity on this broad application and provides an informed interpretation of the Act. find this of particular interest. The publication provides guidance on the impact of POPI on functions including employment law, automated and non-automated processes and decision-making, outsourcing, marketing, credit reporting and the use of the internet. Authors Prof. Yvonne Burns and Ahmore Burger-Smidt have drawn on their vast expertise in general privacy legislation, and the European Union GDPR that has set the standard on personal privacy legislation. Once POPI comes into force, every private and public organisation will have a 12-month grace period to get their house in order. This commentary will explain your obligations under the Act and ensure complete compliance. Yvonne Burns and Ahmore Burger-Smidt have authored a book that will become the lawyer’s essential reference work. Its value will become ever more apparent as the regulatory significance of the Act permeates more of what we do. 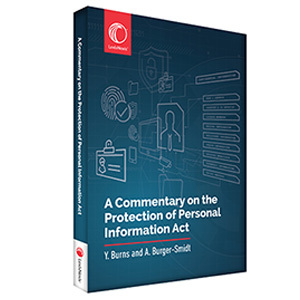 The Essential Handbook for Every Organisation A Commentary on the Protection of Personal Information Act gives attorneys and businesses clear guidance on the application and interpretation of POPI. 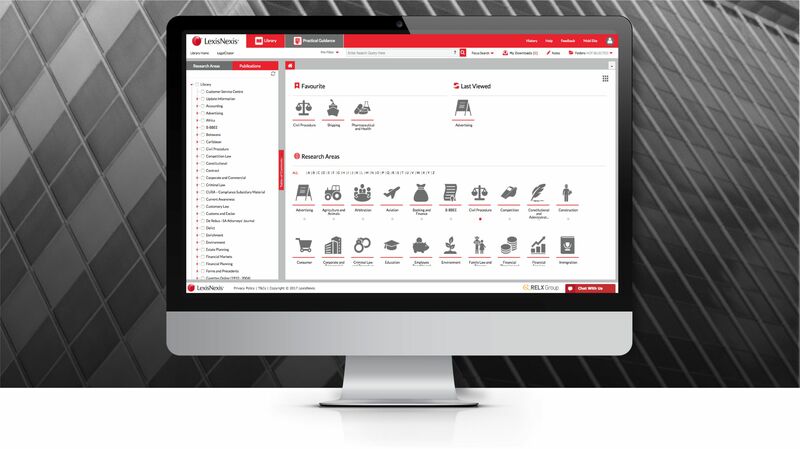 It also sheds light on the steps that need to be taken to protect businesses and their executive management from the severe penalties for non-compliance, and protect the rights of clients, employees and business partners.